This radio 4 program will be worth listening to. I will add the podcast and/or stream when posted on the BBC site. It’s an environmental experiment on an unprecedented scale. Germany’s political parties have agreed to close the country’s nuclear power stations and slash its use of coal, oil and gas. But can the industrial powerhouse of Europe really continue to churn out the BMWs and Mercedes on a meagre diet of wind and solar energy? In the first of a new series of ‘Costing the Earth’ Tom Heap travels to Berlin to meet the politicians of right and left who share a vision for a green Germany and the industrialists who fear that blind optimism has replaced logic at the heart of government. 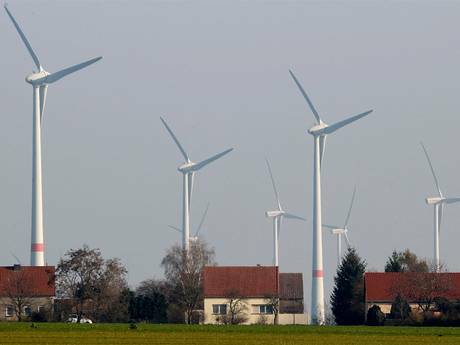 Tom visits Feldheim, a tiny village that produces enough wind power to run a city and talks to the activists who plan to take over the entire electricity grid of Berlin and run the capital on alternative energy. Their enthusiasm is infectious but could the reality be power cuts and the departure of the industrial giants to the US and the Far East? The stakes are high. If the plan they’ve christened the Energiewende, or energy transformation, succeeds, then Germany will have created a low-carbon model for the UK and the rest of the industrialized world. If it fails Germany could lose its place as an economic superpower. This is particularly interesting at the moment for Hexham as planning permission for power generation has been posted on the openlocaly site as reported in the Courant. This application may not even be discussed by Hexham town council as the site according to the openlocaly website is in the Corbridge Ward !!. ‹ PreviousFood and the world perspective.